In the world of technology, it is not wrong if we say every second day a new smartphone gets launched. New smartphones like Mi MIX 2, Galaxy Note 8, iPhone X and much more are coming with blazing fast processors and modern technology. The essential features that come into everyday use for a majority of smartphone users are camera and music. 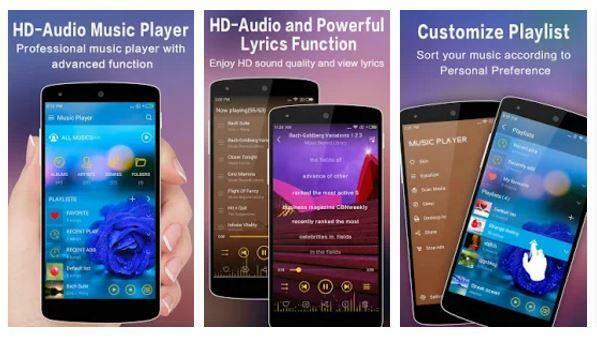 Every smartphone manufacturer provides its custom Music player on the phone with which you can enjoy your favorite tracks, but sometimes those pre-installed players don’t offer much liberty to the user and to solve it one has to download a third part music app. 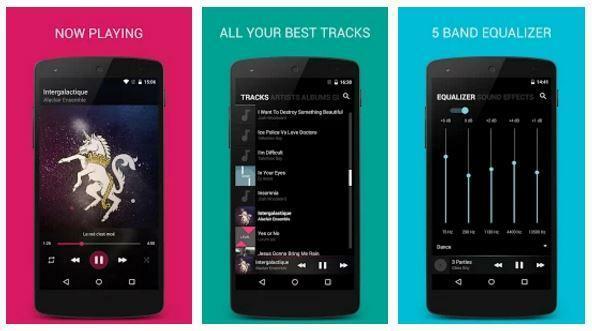 In today’s article, we are here on the list of Best Music Player Apps you can download on your Android device. Image of the music player by leopard v7. 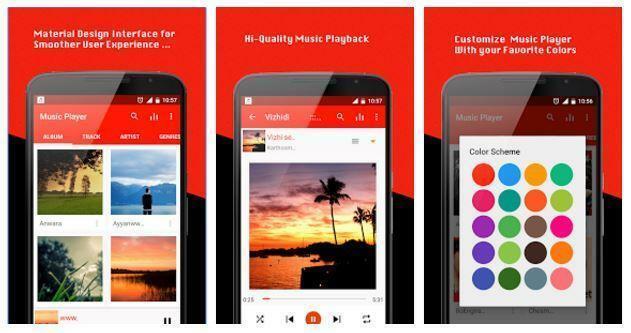 It is one of the most popular Music Player app available on the play store, it is downloaded more than 9 Lakh times and has received an overall rating of 4.5. With this music player, you will not face any problem in finding your music as it also shows the tracks available in folders. It is highly customizable as you can apply multiple skins whenever you get bored of it. It also proved user with shake the device to change the music and it almost supports all major music formats. It also offers a well-designed Equalizer with more than 22 presets. It is available for Free on Play Store. Image of the Black player music player. It is the second player on our list, it offers cool minimal design, and at the same time, you do not have to compromise on any terms. 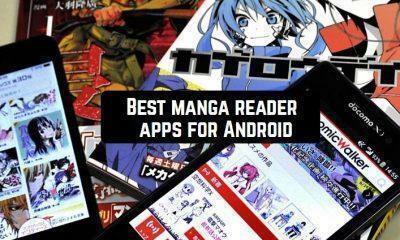 It supports all standard music formats and has received a reputable rating of 4.5 on Play Store. It offers premium features like Equalizer, Bass boost, and 3D Virtualizer. You can thoroughly edit the details about the track and is very customizable. You can change themes, fonts, and colors. It also comes with sleep timer feature which is limited to some music apps. It supports gapless playback and also supports crossfading as the track ends. You can download it from Play Store for Free. Image of the music player app by mytechnosound. 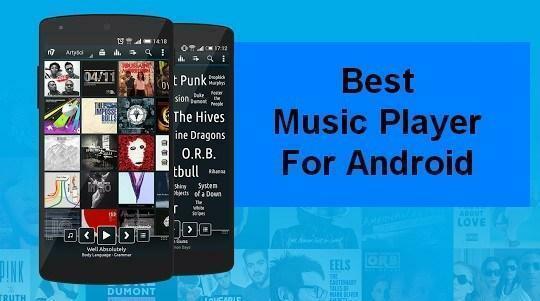 It is the third and one of the best music player on our list; it has received a reputable rating of 4.4 on Play Store. Like other audio players, this one also supports all major music formats which mean there is no need to worry about files. It has a direct forward material design which looks cool, and along with that, it offers inbuilt features like 3D effect and Bass effect. It can be customized by changing color schemes. It also has the feature to play or pause any track by just shaking the device. It is available for Free on Play Store though there are some demerits of it as well, it often shows ads which sometimes irritates the user. Image of the bass booster and eq music player. This particular application is very well known for its sound enhancement capabilities.It has a very well designed equalizer which offers great Bass experience; it also offers some presets like Pop, Rock, Heavy, Classic, Dance, Normal, etc. The support for all major music formats is available. 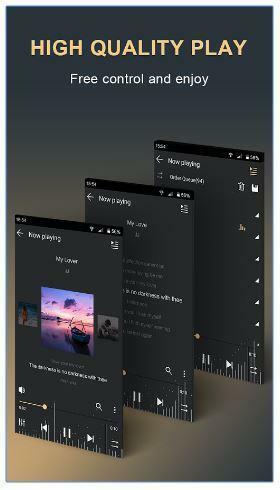 The widget for the music player is also available. Sleep timer setting is available on this music player, a great rating of 4.6 is available for this app. Image of Pi music player. 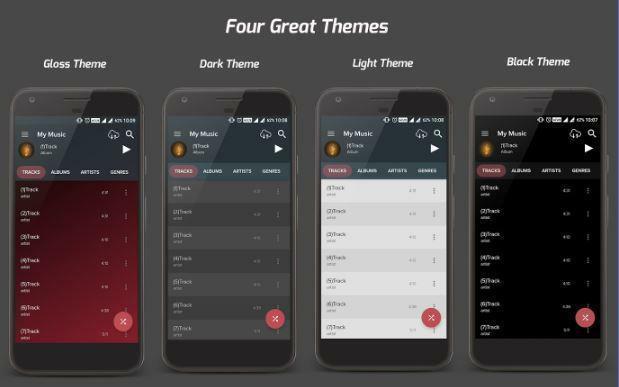 It is the last music app we have selected for our list; it has some unique features which we will discuss below. It is beautifully made and also has a materialistic design, the crisp and clean layout is easy to understand for anyone. Its built-in equalizer is excellent, finding music in this player is easy as you can view all folder and files through it. Ringtone cutter feature is pre-embedded in it which lets you crop any song and make it as your ringtone. A unique feature called Pi Power Share lets you share music, folders, tracks, etc. securely. 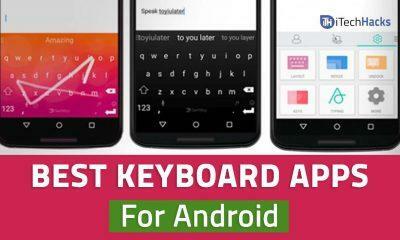 It has received a good rating of 4.8 and also offer pre-installed themes. If you find this helpful, then stay tuned for more articles like this.